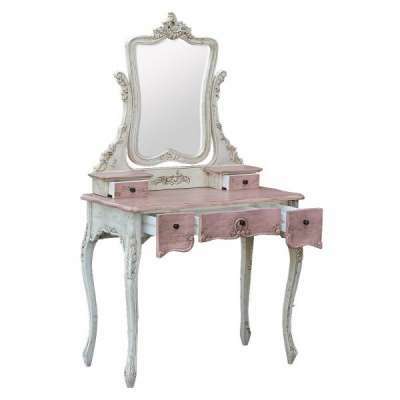 Isabella Dusk Rose dressing table with 3 drawers, 2 mini drawers, and crested mirror. 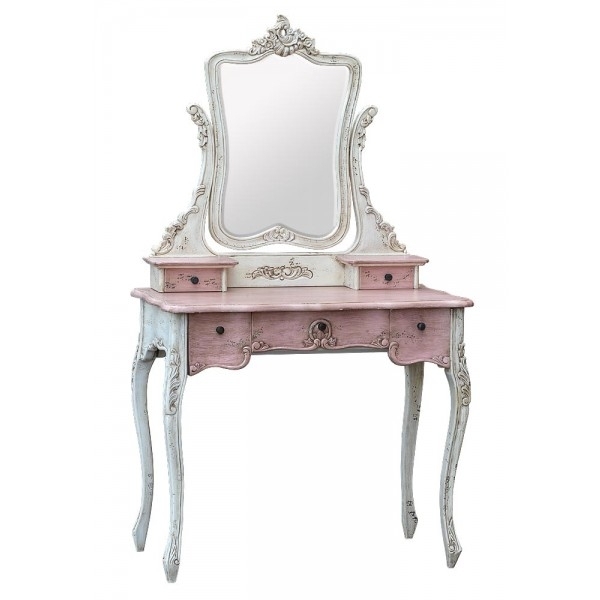 With its soft, feminine curves, pretty pastel shades and exquisite distressed finish, the Isabella range is perfect for that sought-after vintage, shabby-chic look. The size is w91 x d83 x h232cm.